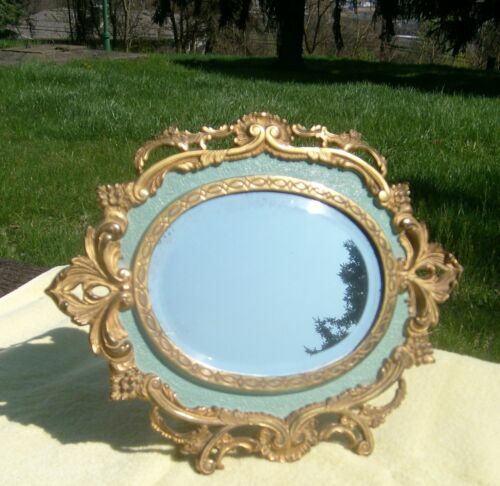 $24.99 (1 bid) ORNATE VICTORIAN NB&IW GOLD GILT CAST IRON EASEL MIRROR - 8 1/2" x 7 1/4 PIC. Buy: $49.0 ART NOUVEAU PICTURE FRAME IRON ART CHERUB HARP C-SCROLLS BRASS FINISH. 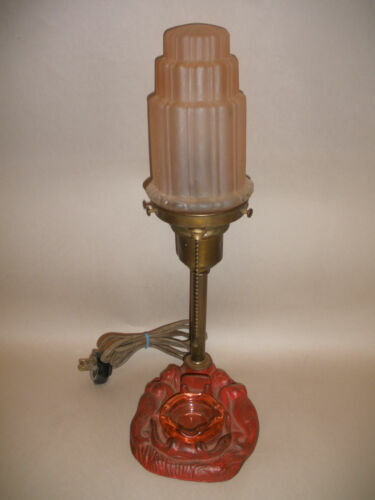 $10.0 Old Oriental Table Lamp Asia, Works! $54.0 HANGING CAST BRASS GAS LAMP ORNATE METAL FRAME 19 X 15"
Buy: $145.0 Antique Figural Cast Iron Picture Frame Woman And Angel, Fruit & Flowers 11 3/4"
Buy: $185.0 Antique Floor Lamp Cast Iron & Brass in Nice Old Finish ! $200.0 Antique Art Deco Hubble Iron Twisted Double Benjamin Socket Floor Lamp 65"